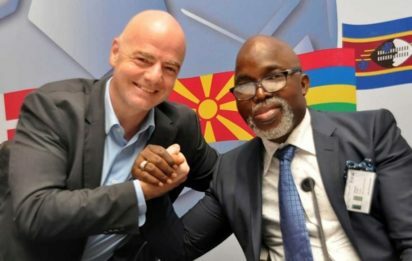 Amaju Pinnick, the President of Nigeria Football Federation (NFF) on Sunday said world football body FIFA deserves commendation for approving the Stephen Keshi Stadium in Asaba for international football matches. Pinnick said this at the Asaba International Airport, where Delta’s Gov. Ifeanyi Okowa received the Super Eagles on arrival from their 2019 AFCON Qualifier in Johannesburg against South Africa. The News Agency of Nigeria (NAN) reports that the Super Eagles on Saturday drew 1-1 with the Bafana Bafana to qualify from Group E of the qualifiers for the 2019 AFCON in Cameroon.